It’s the start of National Stationery Week, which runs from 25th April – 1st May 2016. 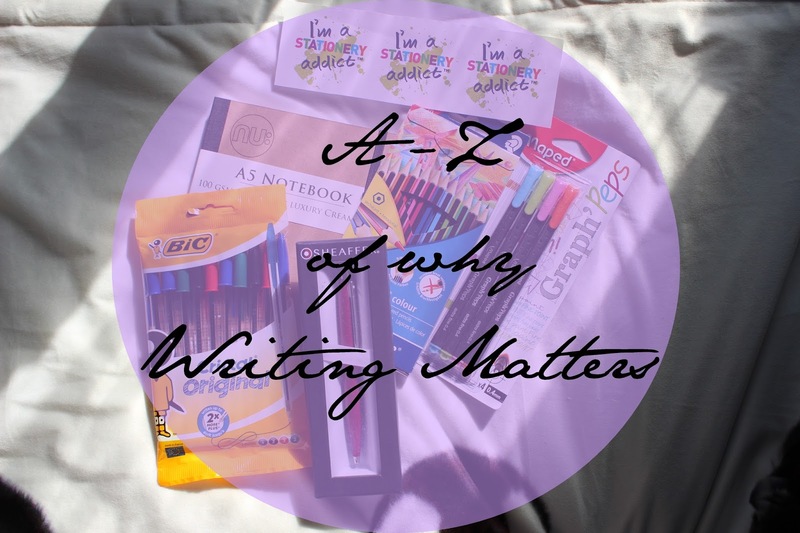 I thought I’d share with you today the A-Z of why writing matters that the people running National Stationery Week have come up with. I personally think writing is so important, I do it myself on a daily basis and I’m one of those people that writes lists and events down in my diary, rather than storing it on my phone! important events – not just consigned to a virtual trash bin. notes, letters and cards are the most personal form of communication. that are treasured for decades. A handwritten letter also shows courtesy. emotions and keeping it stored in a computer file to treasure for all time. Doesn’t have the same ring does it? need to rely on technology. important now as it ever has been in the past. no emails when the Magna Carta was drawn up. imagination, and is proven to heighten the feel-good factor. encourages the correct use of language. brain takes in far more information when it is being written down. remain better able to generate ideas and retain information. helping to keep the mind sharp. O is for Opulent. It’s not just artists that get to go wild with creativity. Beautiful handwriting brings a page to life. cards will always be opened first. today’s authors still write their first drafts by hand. filled with soppy scribblings and cherished for years. treaties, marriages, births, autographs – or even football contracts! they’ll never beat a carefully crafted handwritten message. handwriting is unique and says something about them. with technology in this digital age. W is for Writing. Writing by hand matters….worldwide. a lot about who you are. Z is for Zeal. It’s what people feel for writing and stationery.